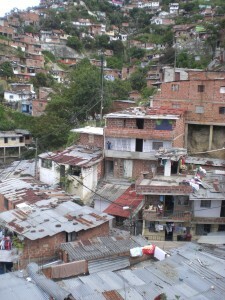 Medellín is surrounded by hundreds of shanty-towns or barrios, most of them built on the slopes of the Andes mountains. The barrios are usually controlled by a banda, or gang, and most of the bandas are involved with drugs and great violence and cruelty. 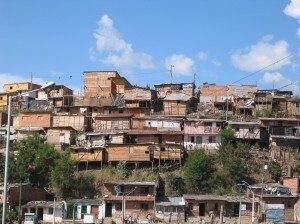 Each barrio is regarded by the banda as its territory and money is collected each week from the families living there. This is known as ‘la vacuna’–the vaccine, or vaccination. Any who cannot or will not pay must flee; if they are given the chance, for they may be killed there and then. 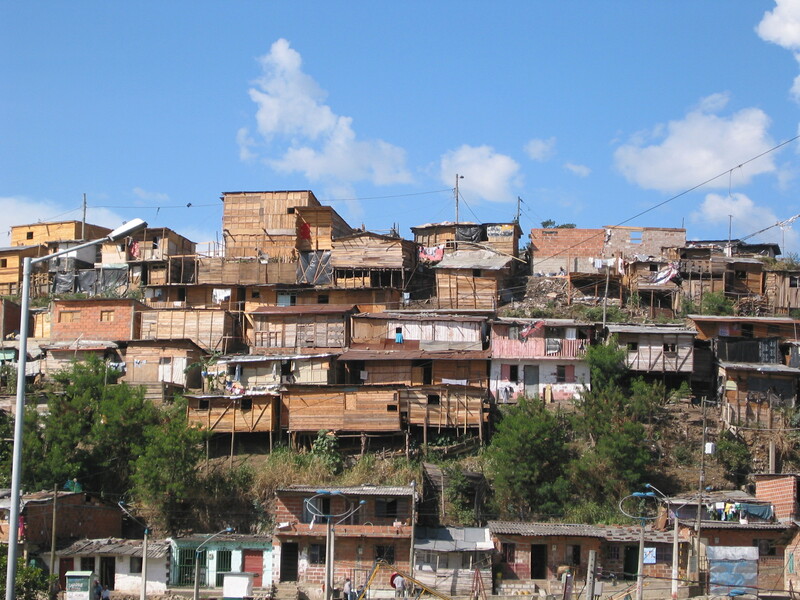 Since each barrio is regarded as the territory of the banda straying into it can also mean death. The bandas set invisible lines which mark the edges of their territory. No one knows exactly where these are so it is easy to stray into the wrong area, especially for the children. There have been times when children have been murdered for doing so. The bandas may also impose curfews and anyone out after curfew will be killed. There may also be fights in the streets between gang members and sometimes children may be caught in the crossfire and killed. At other times they cannot get into or out of their barrio due to the gunfire. Life is of no consequence to the bandas so to cross them in any way means death. If a banda wants to recruit a boy to its ranks he either joins or risks being killed. If he can he will flee to the city’s streets and take his chance there. If he finds himself in the banda he will probably be taught how to use a gun and then used as an assassin. If he tries to leave the banda he will be killed. To cross the banda in any way is highly dangerous. For the girls too there is danger, for if they are attractive they are likely to be spotted by the banda and singled out. Then they may find themselves having their virginity auctioned off and, now the property of the banda, forced to do their bidding. Prostitution is now their life. 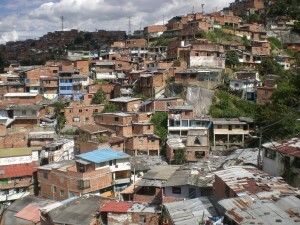 It is from these barrios that many of Funvini’s children come. Our job is to offer them the chance of life; ‘life in all its fulness’. The St John Bosco Group. Music, photos and videos for you to enjoy. Donate to Let The Children Live! Click on the Charity Checkout link below to donate to Let The Children Live! UK taxpayers can increase the value of their donations by using the Gift Aid scheme. To do this please click on the Gift Aid button to download the necessary form.